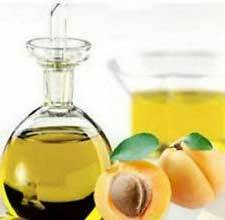 What Good Is Peach Kernel Oil? It’s possible that because the skin of the peach is so soft, people have believed that the oil obtained by pressing peach pits would be good for the skin. Peach kernel oil is clear, light yellow with a slight smell and mild taste—although it’s not recommended for eating since peach kernels contain small amounts of cyanide and traces of the chemicals sprayed on peaches in the fleld.